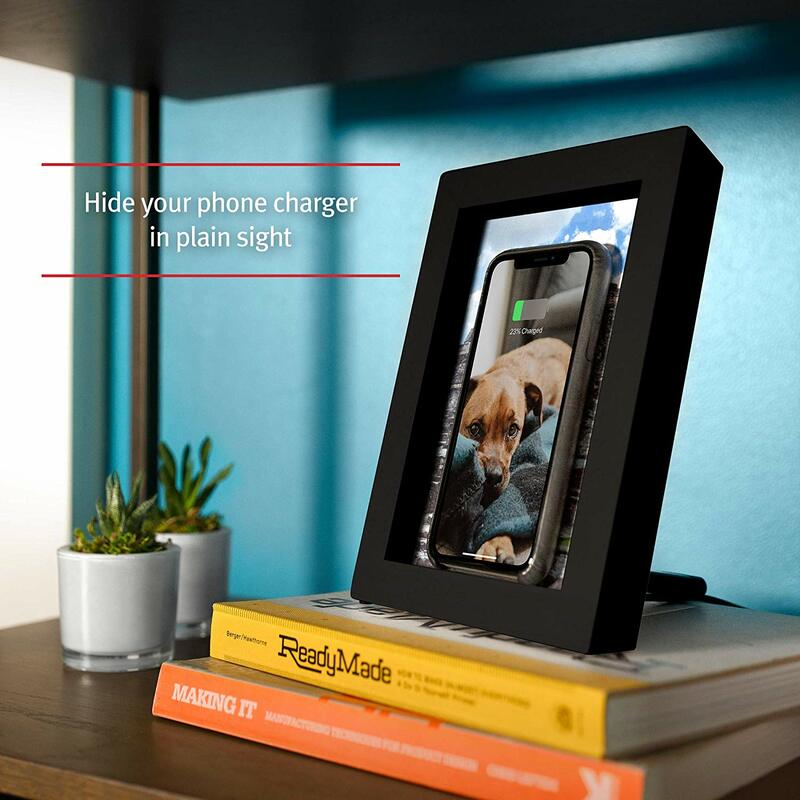 It's pricey at over $55, but I really like the idea of this picture frame with a builtin wireless charger for your smart phone. It also keeps the phone upright so you can see notifications easily. I could see myself with one at the desk in my office and another one on the end table beside by chair in our family room. I've spent mine repairing a leaky toilet. My favorite thing is to fix one problem only to create another. Oh well, I'm sure the hardware store staff missed me. I'm pretty excited about Tesla Energy - not so much for the product itself, but for what I think it represents. I hope there is a coming wave of battery technology that will have performance improvements and cost reductions. I've added a Dell Mini 10 running Ubuntu and have a Frankensteined desktop that has replaced the one that died a while back. 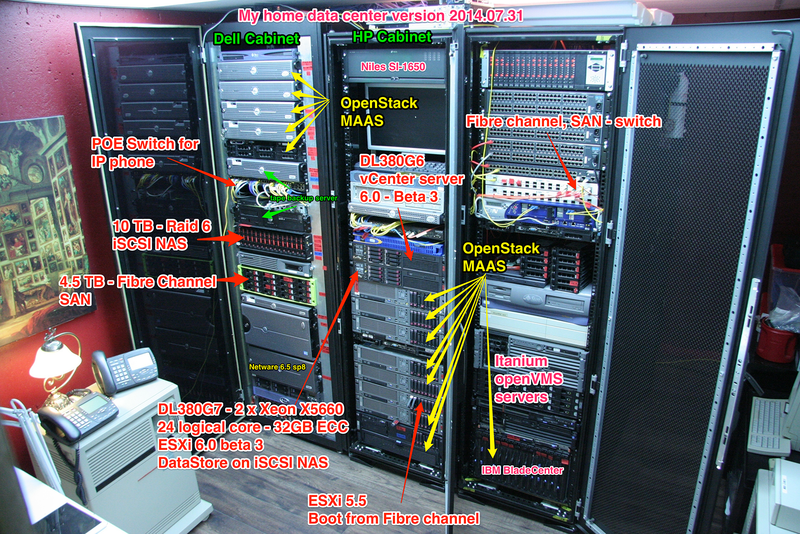 So I am slowly moving in this direction - the home data center. I completed a triathlon yesterday. I ran, swam, and mowed. What's the next connected device in your house? How about your smoke detectors? I can see all sorts of detectors... additional sensors for your thermostat, doors and locks (that I've mentioned before), garage doors, kitchen sensors for smells (is this milk still good? ), lights being on/off, etc. Who knows, maybe your radio will be wireless someday. I had to get a new controller for my irrigation system - it was only as I was checking the thermostats program that I realized I should have asked about one with network connectivity. It would have saved a lot of running around the house - start zone 1, walk to check it, walk back to start zone 2, etc. If I ever have to replace the cipher lock on my front door, maybe I need to upgrade to an August lock. "So, why was it considered an investment? That was a fad. That was an idea that took hold in the early 2000's. And I don't expect it to come back. Not with the same force. So people might just decide, "Yeah, I'll diversify my portfolio. I'll live in a rental." That is a very sensible thing for many people to do." Adam Johnson also noted that this was in line with Shiller's assessment that real U.S. home price appreciation from 1890 to 1990 was just about 0 percent. This is explained by the falling costs of construction and labor. I like my Logitech Harmony Remote Control, but there would be something very cool and futuristic about controlling my TV via the iPad or my phone. Enter the Logitech Harmony Link. Toss a little flying saucer looking disc near your components, hook it up to your WiFi network, and start controlling your TV from your tablet/smartphone. Since you are working over WiFi, you can make changes from anywhere in the house. Next, I want to control the thermostats and lights. Stuff like this could bring the X10 dream to a reality for the masses.